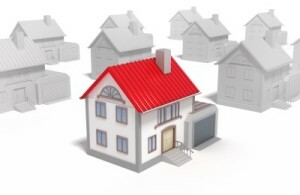 « How to Get Started in Real Estate Wholesaling! For real estate investors like myself there’s a certain appeal when we hear “cheap houses” or “cheap houses for sale”. I’ve seen the phrases a lot lately and it’s reminded me of an important rule that Realnet follows, buy houses that are valuable, not houses that are simply “cheap”. Early in my career, my acquisition team and I were focused on buying cheap houses. It seems that if you buy a house for a cheap enough price that you should be able to make money on it no matter what you do, right? Whether you wholesale it, rent it out, or whether you fix it up and sell it retail, a profit should be obtainable, but you must ensure that profit BEFORE you dish out the money for a cheap house. I’ve noticed over the years that members of my acquisition team focused so much on buying the cheapest houses possible, that they often bought houses that had a significant amount of problems, some that were either very expensive to fix, or some that had permanent damage. Some examples of the problems that we encountered were things like a house that backs up to commercial real estate, a frame house with massive termite damage, a house that had major foundation issues, or one that drove me the most crazy: when we bought a house that had originally been 700 ft.², but the person who was handy about the house added another 300 ft.² onto the house and a couple years later someone added another 400. We bought houses that had such problematic issues that the price was irrelevant because we still had a very difficult time selling them, renting them out, or wholesaling them. My associates who did not always focus on buying cheap houses, but instead focused on buying solid concrete block houses in good neighborhoods while still paying attention to value were the ones that had the most success. Here I am 14 years later and I have come to the conclusion that cheap houses are not always the best investment properties. Find good houses. What a wholesaler might consider paying too much for is the best investment property all the way around. Every house we buy has something wrong with it and that is why we buy foreclosure properties with distressed prices, but you must make sure you purchase houses where the distress, what is wrong with the house, is fixable. A neighbor, who consistently has 10 cars on their yard, is not something that’s fixable. Look for houses that have outdated kitchens, outdated bathrooms, old flooring, or need some paint. Your investments should not be perfect, but they MUST be fixable in order to ensure profit. Whether you’re looking to buy your first investment property, to sign a contract for your first potential wholesale flip, buying a house to live in, or a house to rent out, my rule always holds true. Buy GOOD houses and don’t be distracted by the extremely cheap prices because the properties could have major problems with them that could hurt you rather than help you. It literally took my team and me 2 to 3 years of wholesaling foreclosure properties full-time to realize that cheap is not always the most important factor when buying a house. If I was considering buying real estate, I would keep this rule of thumb in the back of my head and as someone with a great amount of experience; I can say that it has absolutely proven true. Realnet understands that there is a high demand for cheap houses and we’re constantly balancing between buying extremely cheap houses and making sure we’re buying valuable houses. When our investors come to us to buy a house, they know that everything has been taken into consideration and that our experience from buying and selling over 2,000 properties has been used to make the best decision on acquiring the house they’re considering. Realnet that takes pride in buying great houses that help people become profitable real estate investors.